The peaceful arrest of John Lee Cowell for the brutal murder of Nia Wilson was striking compared to BART's past treatment of Black suspects. A still from the Smith arrest body camera video. When Michael Smith stepped off the train at the Embarcadero station in San Francisco on July 29, 2016, BART police officers immediately pulled their guns and shouted at him to get on the ground. Officer Wilson Velasquez-Ochoa approached him from behind and grabbed both of his arms. Before handcuffing him, Velasquez-Ochoa swept Smith's legs out from under him, knocking him face-first onto the platform. Shocked onlookers pulled out their cellphones and started recording the arrest, including Velasquez-Ochoa punching Smith in the face while he was pinned on the platform. The videos quickly spread online. Police had been responding to a report of a possible armed robbery, but Smith was unarmed and the robbery report was unfounded. 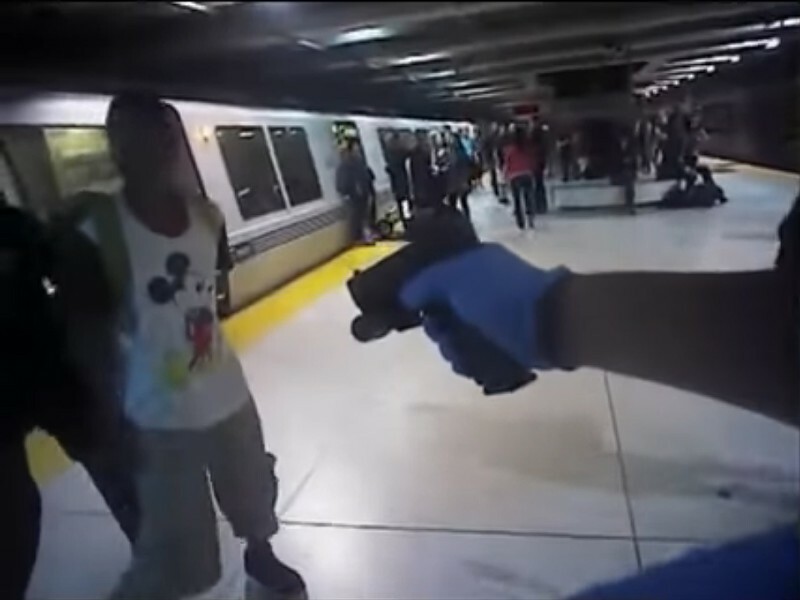 In a series of public statements, BART officials defended the use of force, saying that once Smith was pinned he kicked an officer, bit another, and spit on a third. BART recommended Smith be charged with battery of a police officer, and the San Francisco District Attorney's Office obliged, charging him with six misdemeanor battery counts and one count of resisting arrest. The case went to trial that December and Smith was acquitted of four counts of battery on a police officer. The jury hung on the remaining two counts as well as the resisting arrest charge. Jurors told San Francisco Public Defender Jeff Adachi after the trial that the escalation by officers was a major factor in their decision. "I wholeheartedly believe that if I, as a 52-year-old white man, was in his position, they would not have come at me with guns in my face," said John Mayhew, one of the jurors. When BART police made an arrest of a 27-year-old white man suspected of a violent, shocking and unprovoked attack last week, it went very differently. On the night of July 22, John Lee Cowell allegedly stabbed 18-year-old Nia Wilson and her older sister in the neck at the MacArthur BART station. The sisters were stepping out of a train and Cowell attacked them from behind in what BART police Chief Carlos Rojas called a "prison yard type of attack." Ample evidence connected Cowell to the gruesome crime. The stabbing was recorded on station surveillance cameras. Cowell then fled through the parking garage, also on video, and on the way abandoned his sweatshirt and backpack, which contained his identification, according to court filings. Cowell had a violent past, including pulling a replica gun on a security guard at a Lucky supermarket in El Cerrito while shoplifting, and had recently been released from prison. BART distributed a photo of Cowell the day after the stabbing, saying Cowell should be considered dangerous and advising anyone who saw him to call 911. 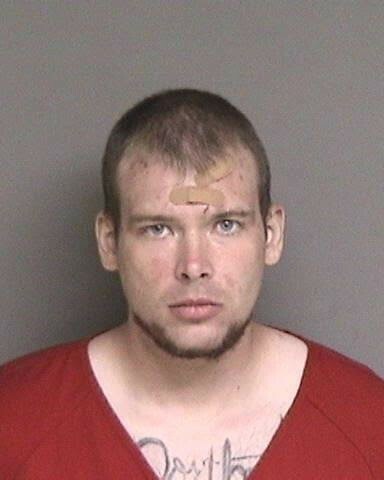 After BART police were tipped that he was on an Antioch-bound train, officers found him at the Pleasant Hill station. A bystander recorded video of his arrest as well, showing him standing on the platform while Officers Rodney Barrera and Eddie Schlegel calmly handcuffed him. "I've never seen a more peaceful arrest," the apparent videographer, who did not respond to interview requests, said in a Twitter post. BART spokesperson Jim Allison also provided a written statement describing Cowell's arrest that said, "When the officers saw him, he had arms raised above his head, holding onto the overhead bar in the BART train car, exposing his waistband. The officers could see that he did not have a weapon in his hands or waistband." The statement also said that Cowell was wearing a T-shirt and shorts when he was arrested, but in the video of his arrest he is wearing long pants. Allison retracted that part of the statement after viewing the video. Smith, who was wearing a T-shirt and shorts when he was arrested, sued the transit agency last year for assault, false arrest, and unreasonable seizure, and reached a settlement with BART for $40,000 in June. His lawyer, Oakland civil rights attorney Glenn Katon, noticed the wide gulf in the police response between Smith, who is Black and was linked to a crime only through a vague report, and Cowell, who is white and was connected to a vicious and brazen homicide by extensive evidence. "The discrepancy in the way BART treated Michael and John Lee Cowell is very disturbing, and I can't help but think that race is 100 percent of the reason," Katon said. Aside from their race, Smith and Cowell share similar physical characteristics, but Cowell is taller and heavier. Cowell was described as standing approximately 5 feet 8 inches tall and weighing 190 pounds. Smith is a bit shorter and lighter; Velasquez-Ochoa later recalled that he is 5 feet 6 inches tall and weighs 120 or 130 pounds. In a deposition for Smith's lawsuit, Velasquez-Ochoa testified that BART officers are trained to handcuff felony suspects on the ground if they perceive a possibility that they are armed. "It's easier to handcuff somebody when they're on the ground," he said. "That's why we do felony stops that way. That way he — it's harder for that person to go for the gun." But Rojas, who joined the department last year, said in an interview that it is "unfair" to compare the two arrests, as officers evaluate the danger of their circumstances on a case-by-case basis. "Each case stands on its own merits, when you start comparing certain cases, you're really looking at apples and oranges," Rojas said. In Cowell's case, officers could clearly see his hands and could tell he was not armed when approaching him so saw no need to order him to the ground. "I haven't had any factual information to suggest race had anything to do with it," the chief said. But there's evidence that BART police treat white and Black suspects very differently. In June, the agency released its annual use of force report to the BART Police Citizen Review Board. According to the report, BART police used force against 340 people in 2017. Of those, 65.9 percent were Black and 12.7 percent were white. By contrast, according to a 2016 report, 10 percent of BART's ridership is Black and 37 percent is white. While acknowledging a discrepancy, Rojas also cautioned against drawing any conclusions based on the department's use of force statistics and said the agency is delving deeper into the subject with the Center for Policing Equity at UCLA. The citizen review board was part of reform efforts after Oscar Grant was killed by BART police Officer Johannes Mehserle in 2009. Like Smith, Grant was forced onto his stomach before he was handcuffed, and when he struggled, Mehserle shot him in the back. That incident, too, was captured on video by bystanders. Mehserle, who argued that he had meant to pull his Taser and not his gun, was convicted of involuntary manslaughter. Last year, the BART Police Department revised its use of force policy, emphasizing de-escalation and requiring officers to use the minimal amount of force necessary to effect an arrest without risking others. Still, a juror at Smith's criminal trial recalled that those officers also emphasized de-escalation. "They talked a lot about de-escalation, but I think the feeling in the room was that not a lot of that happened. Escalation seemed to win at every turn," the juror, Yari Palander, said after the trial. Editor's note: We got wrong the percentages of Black and white people whom BART police used force against in 2017. This version has been corrected.